This week Ayuda is pleased to have 4 vet student visitors from the University of Guelph, Ontario. Terri, Sabrina, Michelle, and Mike arrived at the Lake last weekend after volunteering at ARCAS in the Peten region. 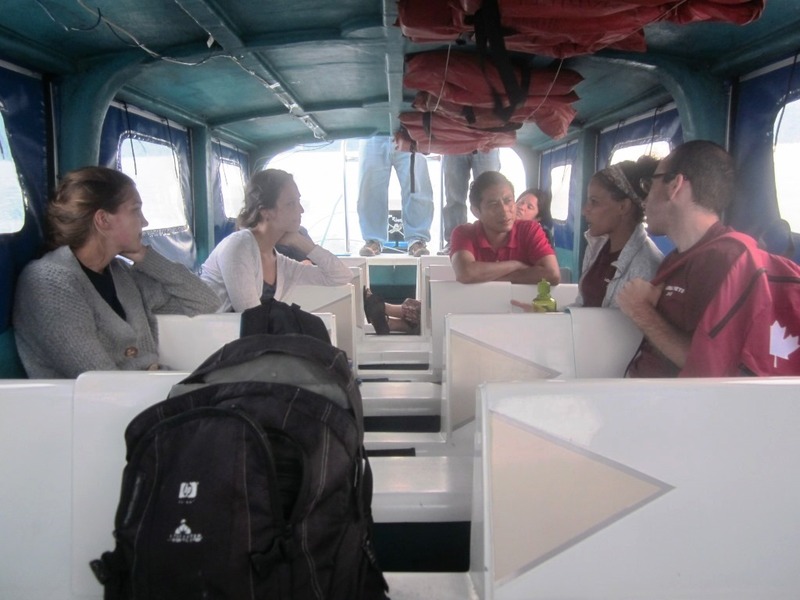 The team will spend a total of one month in Guatemala helping 3 different animal welfare groups. Along with their skills, they brought Ayuda some much-needed supplies. These items, such as Advantix and de-wormers are critical to the health of the dogs and cats with which Ayuda works every day. Healthy pets help ensure a healthier household and community. Everybody wins! 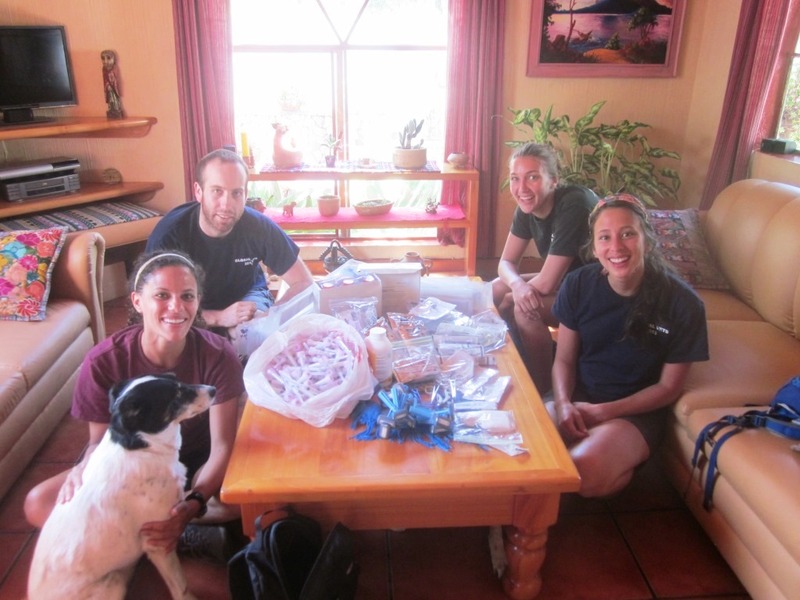 The team went to work right away on surveying and treating the dogs near the Panajachel waterfront and along the main streets. Many of these dogs have owners who allow them to roam for food. Many are infested with fleas, some have intestinal worms, and a few others needed treatment for mange or abscesses. The team is also tracking a little female in heat with a large pack of males around her. We are waiting for a break in the action to safely catch her for surgery. On Wednesday and Thursday, the team assisted Dr. Isael Estrada, the primary Ayuda veterinarian with sterilization clinics in Jaibalito and San Pedro. In total, 25 animals received the Ayuda standard care package while others received annual booster vaccinations and any needed treatments we could provide. According to the World Factbook, approximately 54% of people who populate the highlands of Guatemala where Lake Atitlan is located live beneath the international poverty line. While these families want the companionship and loyalty of a pet, they are in no position to purchase medical care for them. Ayuda’s daily work provides these families as well as roaming community animals with the care they so desperately need while reducing the overpopulation of unwanted dogs and cats. Thank you Mike, Sabrina, Michelle, and Terri for your time, talents, and dedication to the animals! We hope you’ll come back to visit us again soon. Ayuda’s work is sponsored through the generosity of Fondacion Brigitte Bardot, The Marchig Trust for the Animals, and your private donations. Next postCome Howl with Us on Halloween!